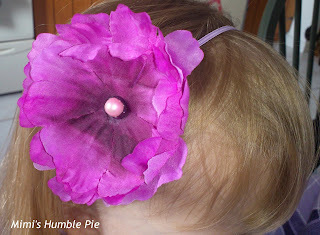 Adorable Hair Accessories via Little Miss Bows and Bands. I have a busy three year old princess, so busy that it took 20 tries to get a non-blurry picture of this beautiful headband gifted to me from Farah aka Little Miss Bows and Bands. In fact on this occasion she was hopping around on the floor pretending to be a puppy, notice the crouched cuteness. Why do I like the band? 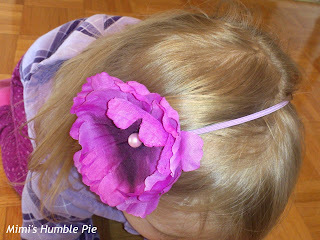 We've had a few weeks to wear the versatile purple flower headband, and it's holding up to the rigorous activity of my girl. It can fancy up a dressy day but also works with casual outfits. Princess Destructo has worn it with her church dresses and during the week with her hoodies and leggings. 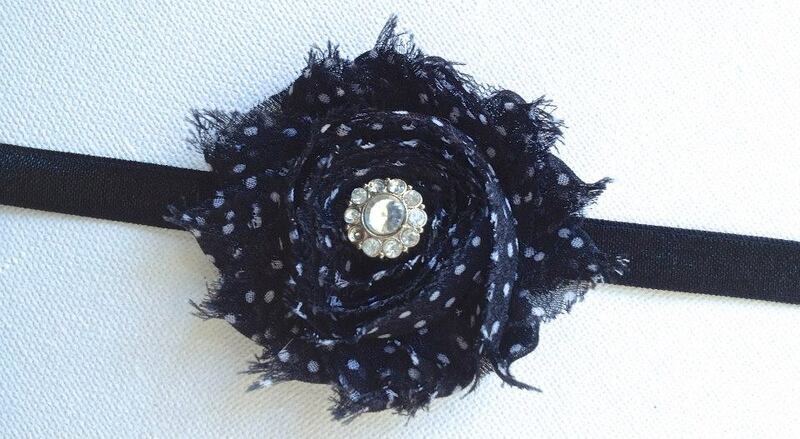 Farah's adorable hair accessories are affordable and come in a wide range of styles and colours. They're not just for little princesses, some of the bands or clips are available in adult sizes as well. I asked this busy mom what inspired her to start a hair accessory business. Here are a few samples of Farah's handiwork! 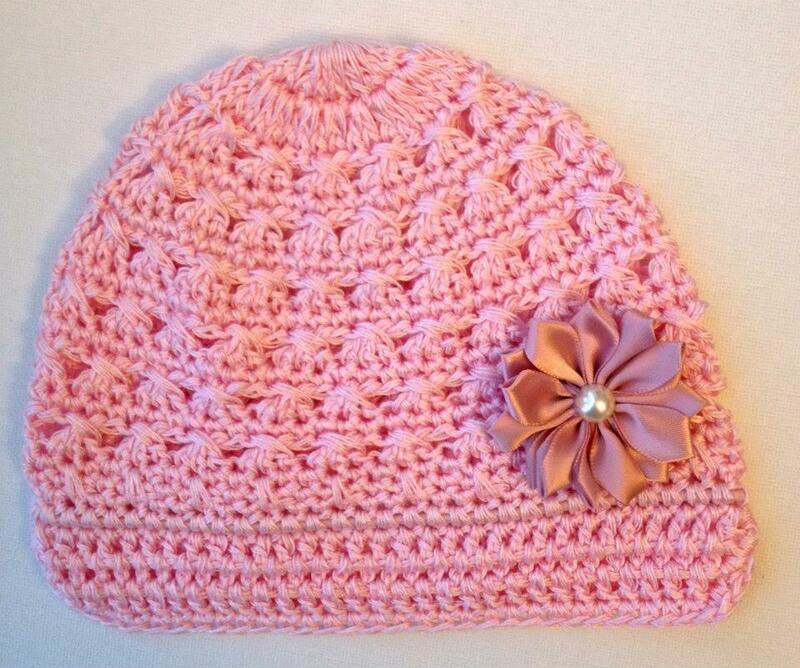 can be made for sizes newborn to adult. 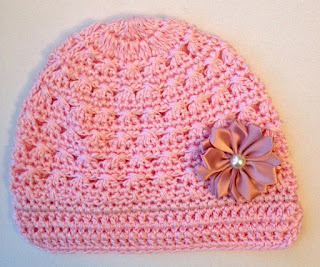 This hat is $10 or $5 without the flower detail. You can't beat that! Connect with Little Miss Bows and Bands and check out her fabulous designs. Her other social links are Faces by Farah and Pinterest. Disclosure: This was not a compensated post. All opinions remain honest and my own.